"Elizabeth Green is hailed as an 'encyclopedia of bankruptcy knowledge' by market sources, who describe her as 'creative and strategically minded.'" 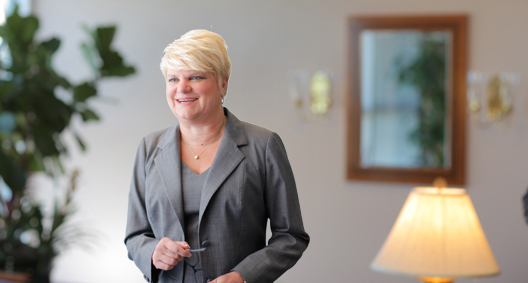 Elizabeth Green practices primarily in the areas of bankruptcy and restructuring, and has represented corporate debtors and secured creditors, unsecured creditors, committees, bondholders and trustees in bankruptcy cases of corporate and individual debtors. Elizabeth also has experience with out-of-court workouts, assignments and receiverships, and has represented numerous parties as buyers in 363 sales. Elizabeth is the leader of the firm's national Bankruptcy, Restructuring and Creditors' Rights team and a member of the Policy Committee, our governing body. She has been inducted as a fellow in the prestigious American College of Bankruptcy, was named one of five Law 360 MVP’s in Bankruptcy in 2016 and is an adjunct professor at the University of Florida, Levin College of Law, where she teaches Advanced Bankruptcy. Represented, as lead counsel, Black Elk Energy Offshore Operations LLC in a chapter 11 in the Southern District of Texas. Represented, as lead counsel, American Eagle Energy Corporation in a bankruptcy case filed in the District of Colorado. Represents, as lead debtors’ counsel, Uplift LLC and Alliance Health Networks Inc., as well as 62 related debtors in the Southern District of Texas. Counsel to Southern Inyo Healthcare District in a Chapter 9 in the Eastern District of California. Served as lead counsel in Chapter 11 cases of Island One Resorts Inc., et al. Successfully confirmed the reorganization plan for timeshare developer debtors. Served as lead counsel in the Chapter 11 cases of Tempus Resorts International LTD., et al. Successfully confirmed the reorganization plan for timeshare developer debtors. Handled both business and residential condominium reorganization cases including Studio Parc LLC; Cornerstone Orlando LLC; and The Plaza LLC. Served as debtor's attorney for F.F. Station LLC d/b/a Church Street Station, a 5-acre entertainment complex in downtown Orlando, Florida. Counsel to Dakota Plains LLC, a midstream transportation energy company, filed in the District of Minnesota. Represented creditors of Goodrich Petroleum Corporation, Northstar Offshore Group LLC and Bennu Oil & Gas LLC in the Southern District of Texas. Served as debtor's counsel to Behavioral Support Services Inc., an outpatient care facility in Altamonte Springs, Florida. Served as an expert witness for Fundamental Long Term Care Holdings LLC in the Middle District of Florida. Served as a mediator for Campbellton-Graceville Hospital in the Northern District of Florida. Represents buyers in Vanguard Healthcare LLC in the Middle District of Tennessee; Preferred Inc. in the Northern District of Texas; and Sr. Care Group Inc. in the Middle District of Florida. Represented Bayou Shores SNF LLC as debtor’s counsel in Chapter 11 case in the Middle District of Florida. Obtained a ruling finding that the Medicaid and Medicare provider agreements were not terminated, and enjoined their termination. Served as debtor's attorney in the successful restructuring and reorganization of Legacy Healthcare LLC's three nursing homes and its related entities in the Western District of New York. Advised CRO in HMO cases of In Re Universal Healthcare of Texas and Nevada. Served as lead counsel in the Chapter 11 cases of Tempus Resorts International LTD, et al. Successfully confirmed the reorganization plan for timeshare developer debtors. Served as out-of-court restructuring counsel to Westgate Resorts, a timeshare developer with 39 timeshare resorts across the country. Handled hotel reorganizations, including Orlando Hyatt, Hotel Royal Plaza and The Resort at Lake Eve. Represented Pringle Holdings LLC and affiliates, the second-largest developer of retirement housing in Florida. Serves as debtor's counsel in Chapter 11 case of Orange County Environmental LLC, the owner of multiple landfills and recycling facilities. Serves as debtor's counsel for nine related companies operating investment funds, primarily investing in real estate, energy, and website projects. Re Pelican Real Estate and In Re Smart Money Secured Investment Fund LLC, Inc. Served as debtor's attorney in the case of Ace Electric LLC, an aftermarket auto parts supplier located in Columbus, Kansas. There was a significant dividend paid to unsecured creditors and bondholders. Served as debtor's attorney for Church Mortgage and Loan Corporation Inc., a church bond company. Served as debtor's attorney for Clarklift of Orlando Inc. related to its dealerships across Florida. Successfully represented the receiver excused from turnover in the Chapter 11 case of Big Oaks Buick Inc. Served as debtor's attorney in the manufacturing cases of Tube Tec Inc. (steel); Designer's Choice Cabinetry Inc. (nationwide manufacturer of cabinets); and Ideal Aluminum Products LLC (aluminum fencing manufacturer). Served as debtor's attorney for AP Military Group Inc., a produce broker adversely affected by an E. coli spinach outbreak. Served as counsel to ATLC LTD, largest unsecured creditor, in the case of In Re Eastman Kodak Company in the Southern District of New York. Served as Official Unsecured Creditors Committee counsel in the case of In Re Element LLC in the Middle District of Florida. Served as Official Unsecured Creditors Committee counsel in the bitcoin case of in Re Hashfast Inc. in the Northern District of California. Served as official bankruptcy court-appointed mediator in more than 100 fraudulent transfer and D&O cases in the case of In Re E Brands LLC.